A name synonymous with cutting edge luxury, GIVENCHY is more than a couturier; it’s a house dedicated to irrepressible, daring women. Founded in 1952 by the iconic Hubert de Givenchy, GIVENCHY was the original couturier to the stars of Hollywood and a member of the Chambre Syndicale de la Haute Couture et du Pret-a-Porter. Today, the house is fearless, classic and dedicated to making women feel extraordinary. It captures the lasting allure of revolutionary beauty with its irresistible fragrance, playful makeup and skincare that is at the cutting edge of technology. With GIVENCHY, every day becomes a moment for audacious beauty. Upon graduating from the Ecole des Beaux-Arts in Paris, Hubert de Givenchy opened the House of Givenchy in 1952. Givenchy received guidance from Balenciaga, and named his first collection for Bettina Graziani, who at that time was Paris' preeminent model. The fusion of French chic and American playfulness became known as 'GIVENCHY Style', and much of Hollywood's elite adopted Givenchy as their principle atelier during this time. 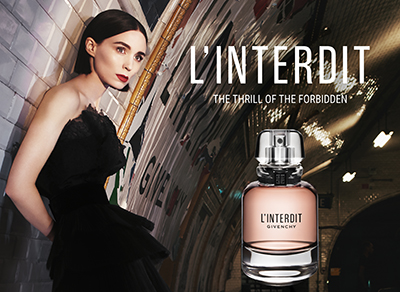 The move into the fragrance world was a natural step for Givenchy, and his premier scent L'Interdit was created as a present for his muse. Since then, the House of Givenchy has released modern fragrance classics including Organza, Very Irresistible, Pi and Gentleman, and newer scents Ange Ou Demon and Play. The GIVENCHY haute couture collection is an ideal antecedent to the high fashion colours and innovative textures of its makeup and skincare ranges. With limited edition products and seasonal collections added every year, the range continues to delight.